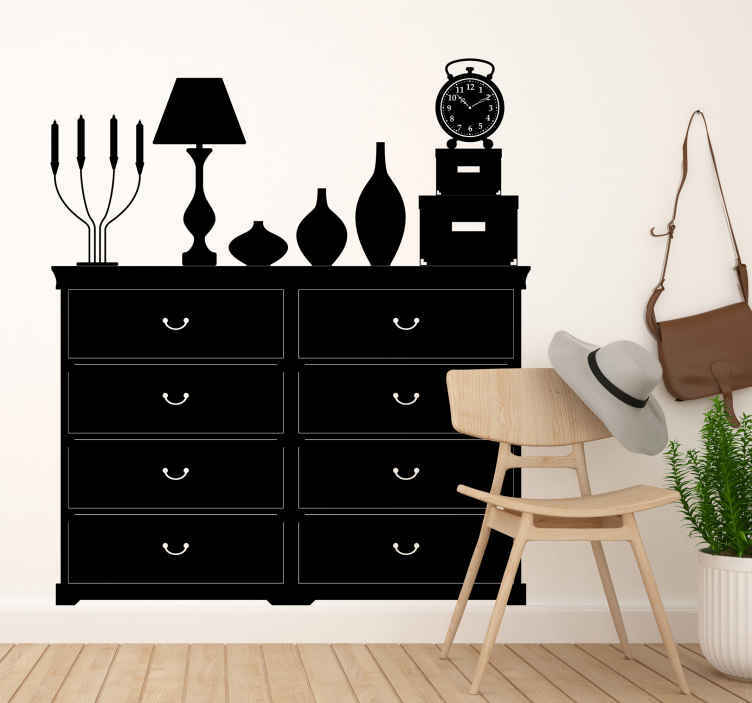 Room Stickers - TenStickers´home furniture decals. Simple and original design of a wooden cabinet with home appliances and decorations. Decals available in various colours, ideal for decorating different spaces.